Wedding sunglasses bride and groom are the most popular wedding gifts handed out by couples to their guests during the wedding events. These imprinted sunglasses spell happiness and they boost joyous spirits of guests who attend the wedding. Guys can team it with their tuxedos and gals with their flowing gowns, tiaras, and diamond jewelry. It is for sure that this bride and groom wedding party sunglasses are there to stay because it can easily trigger the flood of memories, thereby strengthening the bonds. 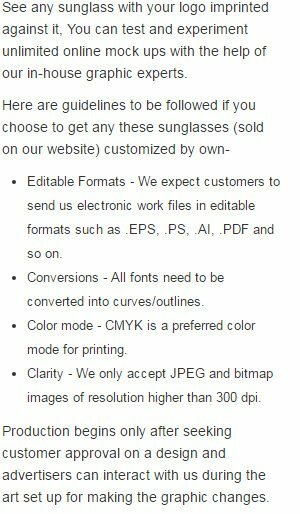 We offer huge discounts on bulk orders of this wedding sunglasses bride and groom. Highlights –4 -Color process highlight. Bride and Groom imprints. Black sunglass frames.